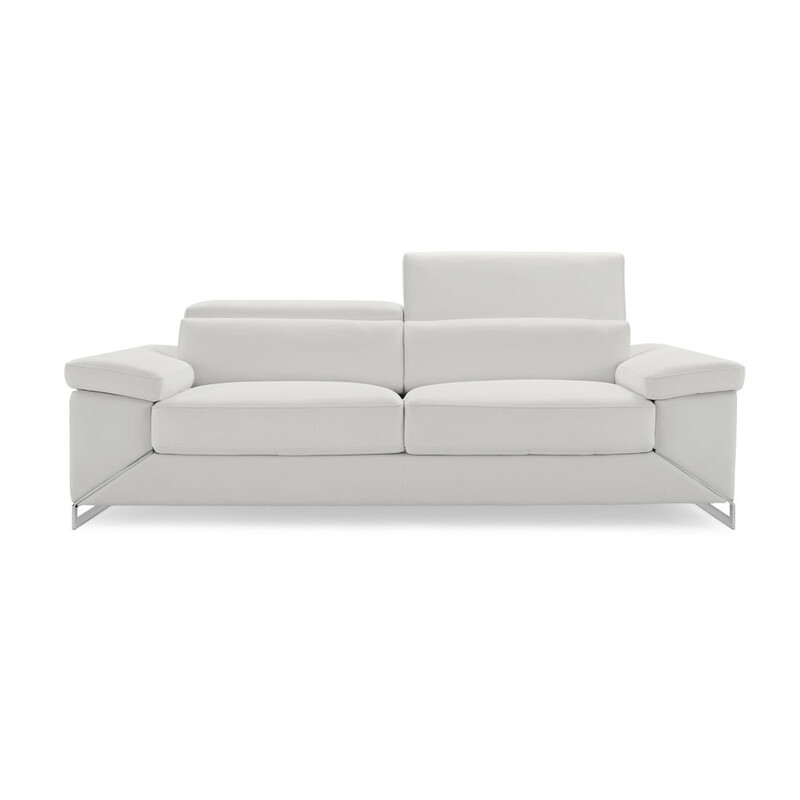 Simple, yet elegant lines make Sydney a truly modern sofa and love seat combination. Sydney features extra-wide leather seating and body support in the arm rest and lumbar area and further, giving you the ability to transform its sleek lines into a functional and comfortable piece of furniture by allowing you to raise and lower the head rests. Rests upon chromed stainless steel supports. Loveseat W 64" x 40.6" x H 28.75" / 36.2"